As mentioned previously that the only major difference with my younger lover is music. I avoid the subject like the plague as he probably has no idea about the music I like. Chances are, I have no idea about the music he likes. There is simply limited common ground and I don’t want any embarrassing chasms to appear. The age difference between my colleagues and me is beginning to become apparent at work, especially with the recent sad demise of some musical legends. Music is more difficult to avoid in everyday office chat and we usually have the radio on. I work in a team of eight with the youngest being 22 and the oldest (me) being 60. One work colleague took me aside and asked if David Bowie had been a singer. When I nodded she looked quite pleased with herself for being so knowledgeable. I didn’t dare mention how upset I was when Prince died. 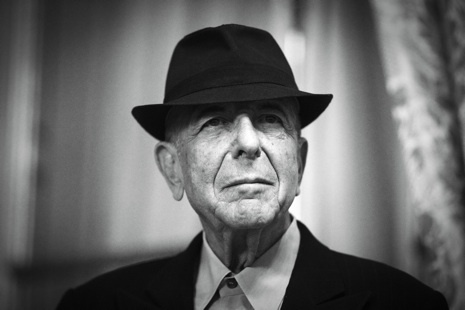 Then, to cap it all, Leonard Cohen. I do appreciate that Cohen is an acquired taste and not exactly on the pop radar but his songs and his words played such an important part of my teenage years. I admit that I’m still stuck predominantly in the 70’s as far as music goes. Music isn’t the only difference with younger work colleagues. I’m beginning to think that basic general knowledge is a thing of the past. Over the last couple of weeks I’ve explained that roses don’t grow from bulbs or seeds and that deadly nightshade is a poisonous plant and not a nasty lampshade. Oysters make pearls (they aren’t factory made plastic) and that a Pudsey bear costume wasn’t someone dressed as a Pokemon. I commented that I liked the colour of a jumper that one of the young women was wearing. She said that she would have to throw the jumper away as it had a split in the seam. I offered to sew it up for her. Believe me, I’m no seamstress but it only took a few minutes and the jumper is as good as new. She seemed stunned and had never considered repairing it. Is it me? Am I the odd one out? They all know that I have a younger lover but probably think I’ve made him up or that he’s my invisible friend. Sometimes it’s good to have a secret and just smile.